There are life lessons to be learned throughout all sports, but there may be no sport that has a more direct correlation to the real world than tennis. 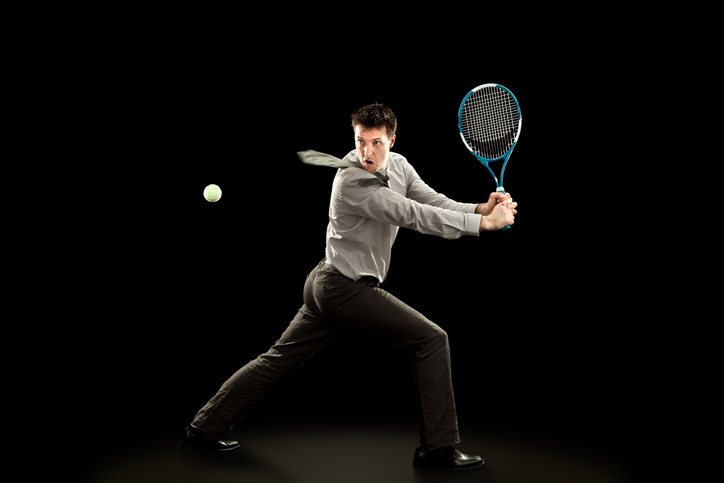 Whether you are playing at an individual tournament or playing on your high school or college team, skills and lessons used and learned on the tennis court can translate into the workforce, as many current businessmen will tell you firsthand. Take Jonathan and Adam Schwartz, two former junior standouts and college tennis players, who now work at Jones Lang LaSalle, a publically-traded commercial real estate firm that specializes in commercial real estate services and investment management. Jonathan and Adam grew up in Nassau County on Long Island, and developed a love for the sport at an early age, thanks to their father Jayson, who was a top college player at the University of Pennsylvania and is a member of the school’s Athletic Hall of Fame. The two would play a number of different sports growing up, but tennis was always king, and each carved out successful junior careers, including winning a Nassau County Championship together in doubles for Wheatley High School. Adam, who is two years younger than Jonathan, would win the New York State Championship in singles in 2006 before taking his talents to his father’s alma mater, while Jonathan played college tennis for the Blue Hens of Delaware. Throughout their successful times as junior tennis players and then as college tennis players, the sport opened up doors for them to find similar success on a different court: The business world. After playing together and against each other on the tennis court growing up, both have used those experiences to achieve success at Jones Lang LaSalle. Beyond just making connections and knowing people, sports and business share similarities in both skill sets and work ethics. Dedicating yourself to something transcends sports and applies to all walks of life. Those qualities often exist in athletes, and it is why they are usually the type of candidates that companies are eager to hire.